I'm going to be a part of this fantastic party! Come over when you can! 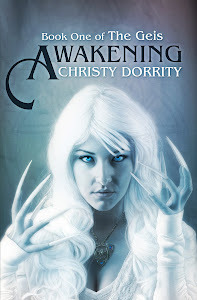 And Awakening is free today on Amazon, for St. Patrick's Day! I like this post. It look useful about this blog is unbelievably positive I visit this blog first time and motivate by this well done work. Mind blowing post keeps up rearrangement such great data. What's more, it is more helpful to everyone. You can utilize this cheap essay writing services administration for any sort of scholastic written work. You can move your written work papers with quality from . Thanks lot for sharing here.